What would blogmas be without one or two DIYs? This isn’t a particularly difficult one – actually its pretty simple. I hope you enjoy this and maybe make some yourself! These are extremely simple to make but I think they’re really cute and I think people will appreciate them when they go to open their gift you have given them. The first thing you need to do is find the correct letters to stick down onto your label. Then place them on top of your label in the order you’d like them (someones name) and get them in the right position. Then get your superglue and just dab a tiny amount on the back of the letter and stick it down onto your label. Repeat this for all the letters and voila, you’ve finished that part. Then just get your ribbon, cut it to the length you wish and feed through the hole at the top. Tie a knot and you’re finished! 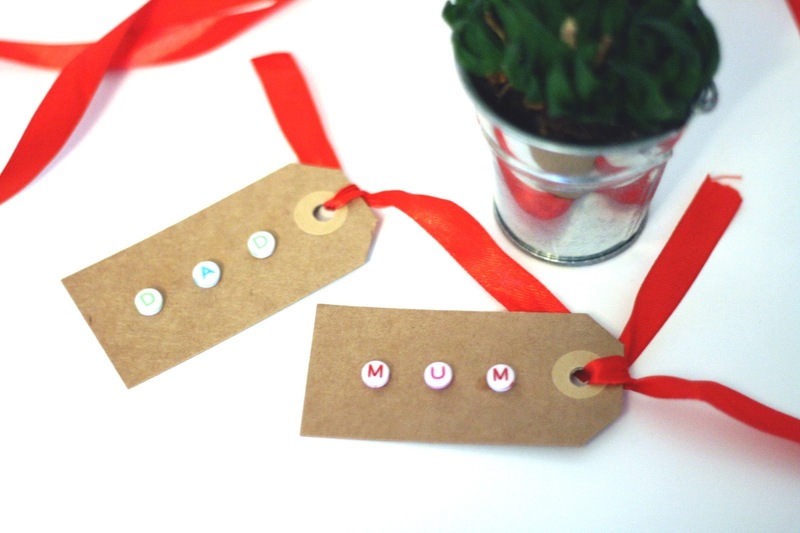 You’ll have a very cute, homemade 3D name tag for your Christmas gifts!